Join the creator of 4 wheel motor bike tours in Western Australia on this unique self drive adventure. Our surveys say we are number one for safety & adventure! Beaches, bush tracks, pristine bays, cliff lines & picture perfect sunsets make this an exciting way to discover the spectacular and isolated Ningaloo coastline. An exploratory journey South of Coral Bay, through winding bush tracks, up and down sand dunes and a little beach driving. Stopping at "Turtle Cliffs" to watch the turtles feeding in the shallow waters below. An exploratory journey South of Coral Bay, through winding bush tracks, up and down sand dunes and a little beach driving. Stopping at "Turtle Cliffs" to watch the turtles feeding in the shallow waters below and jump in at "Five Finger Reef" to explore the amazing coral formations and gardens where coral reef fish are plentiful. 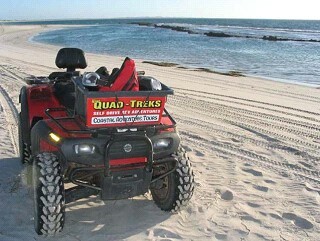 Experience the thrill of riding along white sandy beaches, through bush tracks and hills. Stop to snorkel Oyster,Bridge through the crystal clear waters filled with magical corals gardens which abound with marine life. 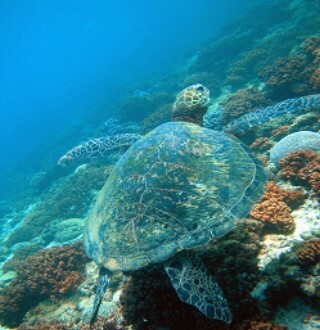 Snorkel, sift through the shells or simply relax and enjoy the peaceful surroundings. The perfect way to end your day! 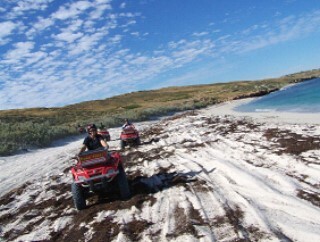 Our guide will take you for a leisurely ride along our scenic coastline and white sandy beaches to the best vantage point to experience our famous sunset over the World Heritage Listed "Ningaloo Marine Park". 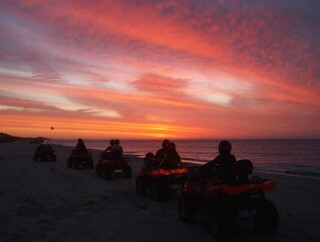 Ride home on dusk and see the stunning colours and raw beauty of our rugged yet spectacular coastline. 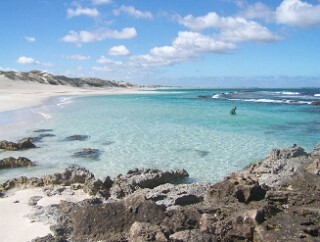 Join us for a trek North of Coral Bay through winding bush tracks and along pristine white beaches to the magical "Oyster Bridge" where you have the opportunity to snorkel or simply relax in the peaceful surrounds, we will then take you to the best vantage point to watch our famous Coral Bay Sunset over the Ningaloo Reef. license. Riders & Pillions are not permitted to swap riding during tour.